1. The user can access www.productopropio.com without being required to provide any personal information. In the forms called “ASK US” and “REQUEST YOUR QUOTE”, in which case the user enters their personal data such as their name, address, telephone number, email address, preferences, etc., and/or the reservation requested from Producto Propio [groups] in the forms. ONE: the data collected on this website will be used for the purpose, in the form and with the limitations and rights established in Organic Law 15/1999, on the Protection of Personal Data, within the framework of Spanish legislation. TWO. Producto Propio [groups] has adopted the technical and organisational measures necessary to guarantee the security and integrity of the data, as well as to prevent their alteration, loss, processing or unauthorised access. THREE. Users who provide personal data consent to their processing by electronic or other means so that they can be used by Producto Propio [groups] for the commercial purpose of customisation, operation and statistics and activities specific to its corporate purpose, expressly authorising Producto Propio [groups] for data mining, data storage and marketing studies to adapt its offers to the profile. Producto Propio [groups] will provide the necessary data to the corresponding supplier when the USER contracts a service provided by that supplier. Producto Propio [groups] may retain their data once the entire relationship with the user has been finalised to fulfil legal obligations. FOUR. If the data collected are going to be used for a purpose other than that for which they were gathered or collected, the prior consent of the interested parties will be required. FIVE. The user consents and authorises Producto Propio [groups] to provide such data to official bodies that so require it in keeping with the laws of each of the countries in which we operate, as well as to banks with the purpose of guaranteeing contractual compliance. 4. 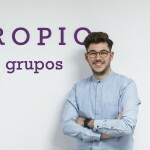 In keeping with the provisions of the Organic Law on the Protection of Personal Data, Law 15/1999 of 13 December (hereinafter LOPD to use its Spanish abbreviation), Producto Propio [groups] informs you that the data obtained through this form or contract will be included in a computer file called CUSTOMERS for which Producto Propio [groups] is responsible. You expressly consent to the processing of such data to send you information by any means about our products, services, offers or special promotions so that we can develop user profiles that allow us to make customised offers. We inform you that in keeping with the LOPD, you can exercise your rights of access, rectification, cancellation and opposition free of charge by writing to the aforementioned address.